We are ATM specialists with over 10 years experience in all things ATMs! We import, sell, deliver, install and service our own machines. Find out more. Complete ATM Services is an independent and one of the trusted ATM companies in Australia selling, installing and maintaining Automated Teller Machines since 2009. We supply new and reconditioned equipment, available for outright purchase, lease or event hire. We provide comprehensive ATM Warranty & Maintenance to our valuable customers so they can use our product without any hassle. Complete ATM Services supply ATMs to small and large clubs, franchises, RSLs, pubs, licensed restaurants, cafes, supermarkets, convenience stores, service stations, nightclubs, adult venues, bottle shops, food outlets, motel lobbies and food outlets, in rural and metropolitan sites across Australia. You'll find our machines in businesses & festivals in Perth, Melbourne, Sydney, Gold Coast, Brisbane, Cairns, Darwin and every town in between. Check out gallery of our ATM here. 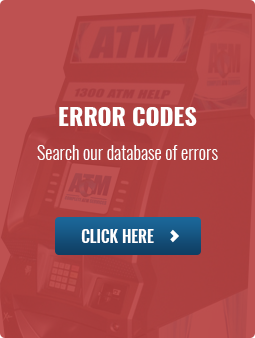 Thinking to buy used or new ATM? Use our ATM profit calculator on the right to get an idea of what your Return on Investment (ROI) will be. Read our Frequently Asked Questions for further information.